Iviss was a friend of Orben Bearclaw and other members of the Circle of Shadowdale for most of his life. He lived and worked among forest creatures who protected the woods. Their group was led by Stix and powerful forest spirit who because influenced by Talona, the goddess of poison, and through Stix was able to poison his closest friends, Iviss being amoung them. The became known as the Enclave of the Twisted Root and were eventually defeated by a group of adventures. Only Iviss survived. He now lives a relatively secluded life, embarrassed by his corruption, and giving himself more to nature each day. Levitate (Sp): Air genasi can use levitate once per day as cast by a 5th-level sorcerer. +1 racial bonus on saving throws against all air spells and effects. This bonus increases by +1 for every five class levels the genasi attains. 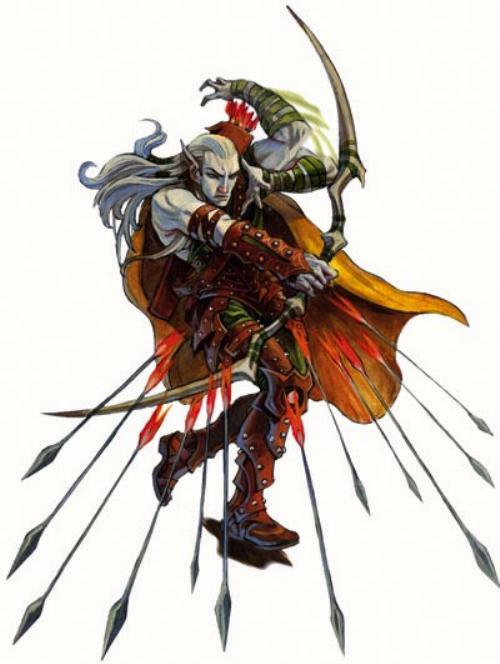 Breathless: Air genasi do not breathe, so they are immune to drowning, suffocation, and attacks that require inhalation (such as some types of poison).